Staff - Olsen Design Group Architects, Inc.
Olsen Design Group Architects design philosophy is based on the belief that successful architecture can only result from a close interaction between the client and the architect. Each commission brings with it new opportunities and challenges, and therefore demands a fresh approach that addresses the correct balance of functional, technical, economic and aesthetic factors to best suite the client’s needs. Using this philosophy, Olsen Design Group Architects is able to create designs with an enduring quality that reflect the client’s ideas and goals, for both the present and the future. We believe that the quality of service is not an issue that can be taken lightly, and it requires an unconditional commitment. Providing this level of service involves an overall attitude toward performance, from issues such as returning telephone calls in a timely manner to actively representing a client’s interests on the construction site. Olsen Design Group Architects is a firm of qualified and experienced professionals who are committed to excellence and who understand the importance of each individual client. Our office location allows us to comfortably serve the geographical area of southeastern Pennsylvania and the northeastern United States. It also gives us the ability to be available for an impromptu meeting or site visit to resolve a situation as quickly as possible in order to best serve our clients. We alone, as architects, cannot solve the challenges of our projects. We need the valued input of our consultants and our clients too! We always insist that clients provide team members to participate in the process… to roll up their sleeves, grab a marker and a roll of tracing paper and become an integral part of the decision making process. Lee has 50 years of experience in all phases of architecture. 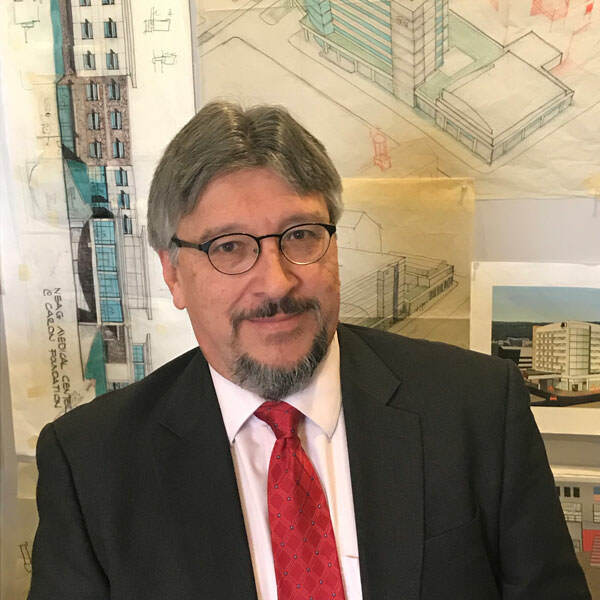 He has engaged in a regional practice of architecture, master planning, facility planning and interior design for a range of projects that include commercial, retail, educational, institutional, health care and residential. 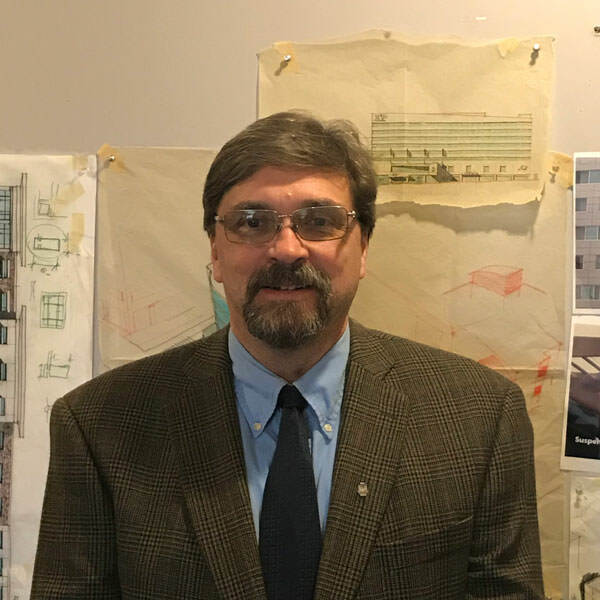 As President/CEO, he is responsible for overall project direction including design and management to ensure that project aesthetics, schedules and budgets are met and procedures are being followed. Lee plays a vital role in marketing the firm by engaging prospective clients and expanding relationships with existing clients. 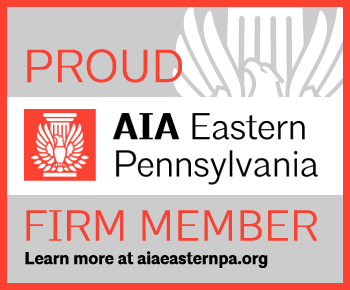 Lee is licensed to practice architecture in Pennsylvania, Connecticut, Maryland, Massachusetts, New Jersey, New York, Vermont and Virginia. For most of his career he has volunteered in the Greater Reading / Berks County community with service on numerous boards, commissions, committees and task forces. He is a member of the local chamber’s Speakers Bureau. Larry is responsible as the lead coordinator for project management, design and production. 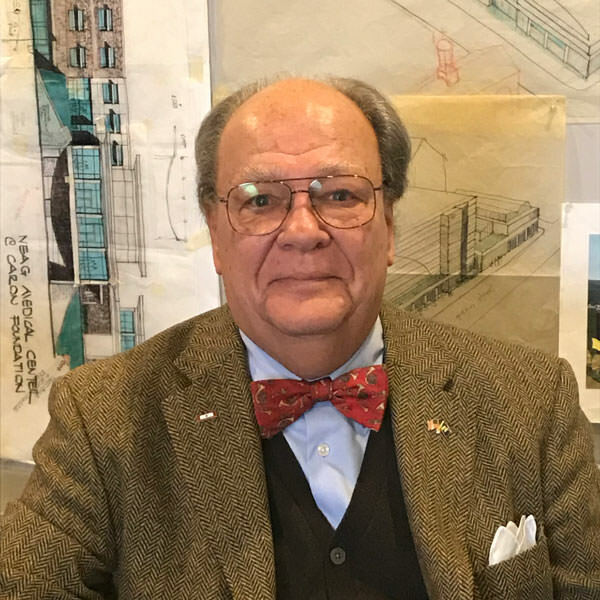 Larry is a 40-year veteran of the architectural design and project management disciplines. He works as a lead architectural designer, project manager and coordinates efforts with clients, contractors and consultants. His major clients include Caron Treatment Centers, Penn State Health-Saint Joseph and Salisbury Behavioral Health. 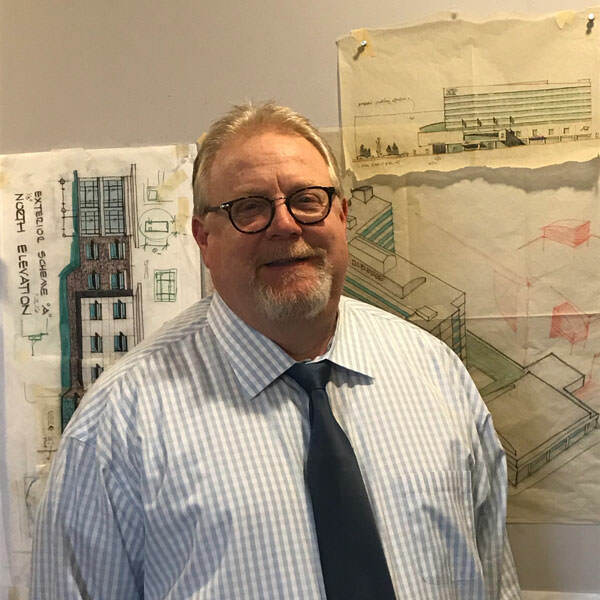 Scott has over 40 years of experience in the field of architecture, with commercial, education, institutional and residential type projects. He is directly involved with design, construction documents and project management. He is dedicated to his work, whether supporting or leading, to provide the client with a successful project. 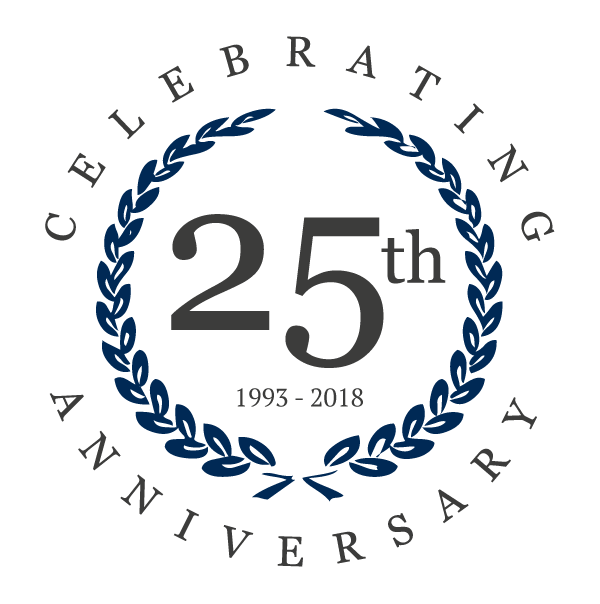 A Registered Architect for 25 years Jose’s professional experience ranges from national chain retail and restaurant projects throughout the U.S. and Puerto Rico, to medical facilities in Western PA, to luxury residences on the Eastern end of Long Island, NY. Jose received his undergraduate degree from Columbia College in NYC, and his Maters of Architecture from Carnegie Mellon University in Pittsburgh. Born and raised in San Jose Costa Rica for the first twelve years of his life, Jose contributes a diverse background and experience to the firm. 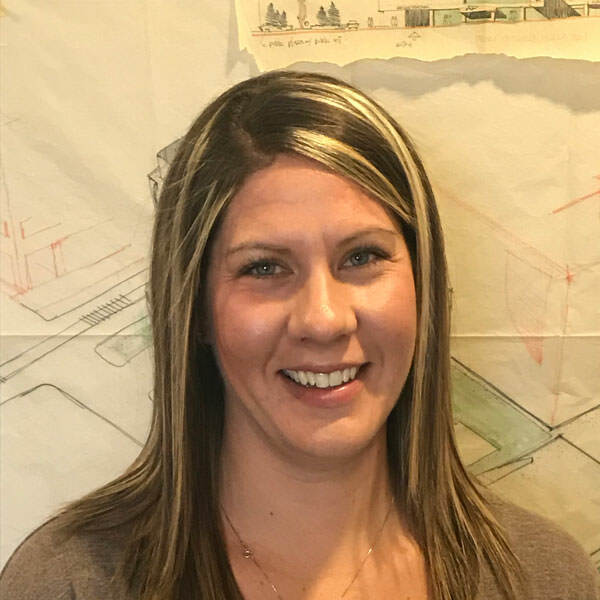 Cheryl started with the firm in 2002 as a drafter with an Associate degree in Drafting Technology. With experience and education Cheryl evolved into the CADD Technology Manager. Cheryl enjoys collaborating with clients to achieve a functional layout and design. 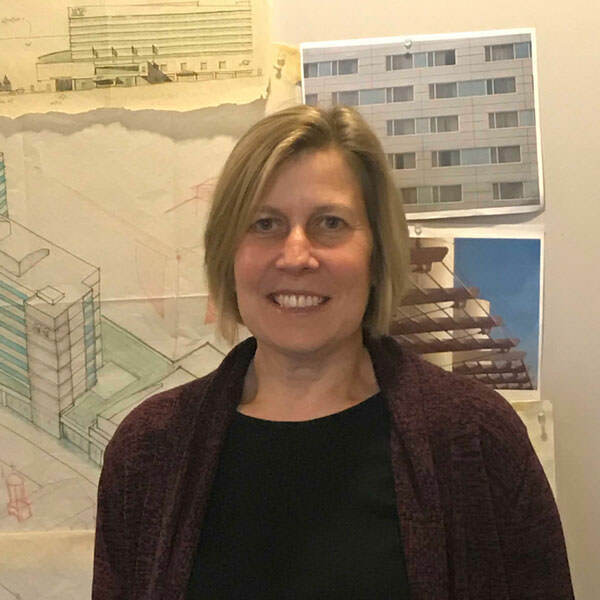 She is experienced in all aspects of documentation, seeing projects through from the design concept to final construction documents. Cheryl also is the IT Manager of the firm. As the IT Manager she is responsible to make sure the firm is up to date on the latest technology and software. Lisa has over 15 years’ experience in an operations administration role. She is a graduate from Berks Technical Institute with an Associate degree in Executive Secretary. Lisa started with the firm in 2006 as the Administrative Assistant. In 2010 she pursued a new career in accounting, where she learned many of the skills she uses today. In 2014 we welcomed Lisa back to our team as our Business Administrator. Lisa provides the firm with administrative and accounting services and ensures the smooth operation of daily functions. Lisa is responsible for financial planning, employee benefits and all business activities of the firm. She also coordinates with all project managers to maintain project budgets. She provides support to the project managers, architects and CADD personnel. Her caring and easy-going personality make her a great asset to our team!